Should I take an M1 exit course (a.k.a. MSF riding school course), or just take the test with the ministry? Does taking a course for my M1 exit test help me save on motorcycle insurance? What are the approved ministry of transportation motorcycle courses and which one should I take? Should I take an M1 exit course (a.k.a. MSF riding school course), or just take the test with the ministry of transportation? Don’t discount the value of being able to get your license and learning to ride on someone else’s bike. Beginners drop motorcycles, better to drop someone else’s than your own. Adrian got into riding wanting a sportbike and after the course much preferred a cruiser. On the other hand, Ashley rode a cruiser throughout the course and ended up buying sportbikes. Remember: A course will cost more, but you don’t need to worry about damaging a bike, or having your own bike in order to get your license. The sooner you get your M1 and M2, the sooner your insurance premiums starts going down! Read on to see if a motorcycle course will reduce your insurance premium, and what motorcycle course you should take. See also 10 Things The MSF Motorcycle Course Didn’t Teach You. You used to save on your premium if you took a motorcycle safety course, but insurance companies seem to be changing on this. Fewer companies are still doing this. Companies such as Jevco will credit you with a year’s safe riding after you’ve held your M1 license for a year, even if you don’t own or have never rode a bike. Ashley saved around $500 by getting her M1 and M2 and not purchasing a motorcycle until the following year. The upgrade from an M1 class license to an M2 will give you cheaper rates. In Adrian’s case, he contacted his insurance broker after he upgraded his license and received a rebate check in the mail. Note: Upgrading from M2 to a full M motorcycle license generally does not impact motorcycle insurance rates in Ontario. And finally, what you’ve been waiting for: Find out what motorcycle courses are out there and which one you should pick! What M1 Exit (for M2) Motorcycle Courses are out there and which one should I take? We would recommend Learning Curves if they didn’t make it so hard for us. While they partner and offer deals through GTAMotorcycle.com, we just don’t know enough about them. Our experiences are with RTI, were positive ones. It was closer to home, cheaper, and the re-tests are free. Feel free to post your comments below, let us know what you think, where you learned, and what you enjoyed in the comments! 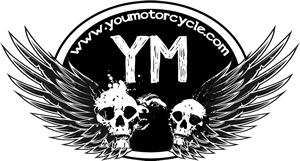 This article is a part of our How To Buy Your First Motorcycle series. The previous articles looked at the M1 License and we’ve created an M1 Practice Test. The next article looks at buying a new vs. used motorcycle or scooter and how not to get ripped off. See also 10 Things The MSF Motorcycle Course Didn’t Teach You. I’m not sure if you’re being “controversial” simply to elicit Comments….but if you are….it’s working. Reasons? For the first one, you SHOULD be forced to wear appropriate gear, a) so you know what IS recommended to ride a bike safely……and the second, learning in a group is fine. It helps to build camaraderie, let’s you discuss training with other students and actually gives you the opportunity to learn how to “group ride” safely….something you would not otherwise learn. (Disclaimer: I teach the course at Niagara College). Thanks again for all of your help with the site. Do I think gear is important? Sure. But I also see gear as a requirement as a problem. a) I’m an advocate of responsible decision making, not ATGATT as I described in a recent post. I do understand and support a school’s choice to have a dress code, I just see it as an excluding practice, like when my bar only allows customers who are 21 and older and dressed according to their code. It’s within the business’ rights, but some nice people don’t always get to enjoy themselves as they’d like to as a result. b) It creates another barrier to entry in some cases. I was an 18 year old university student when I put a deposit down on my first bike. My books for a single semester alone cost more than my insurance (which was already ridiculous). We didn’t have the option of renting motorcycle gear back then. A lot of cities still don’t have that option available. My broke self could afford to take the course, or buy gear, but not both, and since I couldn’t take the course without the gear, I went for the gear and crashed many times before taking the course. As for group riding and learning in a group, I hear ya, it’s important. I’m not sure what the ratio’s are, but lets just say I would prefer a class of 2 instructors and 10 students over a class of 4 instructors and 20 students. There’s a lot of time wasted waiting, a lot of missed opportunity for one on one coaching, etc. Maybe that’s more of a personal preference. If I could have half as many eyes on me when I’m learning something for the first time, I’d definitely prefer that. I took the course at Georgian in Barrie and failed it. I had not rode a bike in twenty five years, however in my younger days not only was I licensed but rode for several years with out incident. This course, I feel is great for the person who has no knowlage or experiance with a bike what so ever. Learning how to push your bike around, cornering, emergency stops, doing figure 8’s, all below walking speeds in the confines of a parking lot are all fine skills. However these skills take time to learn and aquire the feel for them. You certinally are not going to achieve this in 12 hours. My skills of stopping, and manuvering the bike above walking speeds were never tested. I failed the entire course on my inability to have manuvered the bike through a course laid out by my instructors in the time period that they allowed, all below walking speeds to their satisfaction. Never once did I see anyone ride or instruct students on the lessons of carring a passenger, no one was allowed to leave the designated parking lot for lessons or experiance on highway driving, night driving, forget it, these bikes no longer were equiped with neccessary lighting, hell these bikes wouldn’t pass a safety to license them anyway. Several students through out the course droped their bikes and still managed to pass, so now they are licensed to take passengers and scream down busy highways during night and day. I really feel that for the cost of close to five hundred dollars this course does not teach or give students the knowlege or the experiance to aquire a M-2 considering the new abilities that one must have to safely ride a bike with this license, carring a passenger on the 400 series highways at night. You want to know why the accident rate is where it is for first year Motorcycle drivers?? I plan to get my M-2, but not this way and at this expense. anyone know where I could rent a motorcycle to complete the 2nd part of test at Humber College ? My wife started out on a Suzuki GS500. The small cc bikes just didn’t have the umph that I knew she would want in a few months and they do not fit tall women well. She is 6 foot tall. The GS500 was very lightweight for those not wanting to muscle a large bike. I also enjoyed the fun factor of the bike. The bike didn’t lack power when hauling a passenger either or moving at 65mph on freeways. It held it’s value well when we traded up to a V-Strom 650 a year later. I would recommend this bike for any women of average to tall height that is just starting out. After having class 6 full licence in B.C. and then letting it lapse coming to Ontario, I am appalled at this graduated licensing process. Getting the M1 written test easy, buying the bike easy….now wait 60 days ( there goes summer) or pay and pay and pay $500 plus to get into a course wherein I qualify for slightly decent insurance rates another $800. Nobody else will even touch me until I have an M2 (again in 60 days). So wait out the rest of the good weather or bite the bullet, take a course I do not need and ride on and in another 18 months have the privilege of qualifying to take my full M licence. All to ride a scooter, sure it’s a Bergman 400… But honestly Ontario…beyond ridiculous!! !